Despite being just 18 years of age, Christian Pulisic has become a key part of the Borussia Dortmund first-team according to his coach Thomas Tuchel. Bring Pulisic in your Official Fantasy Bundesliga Team right here! 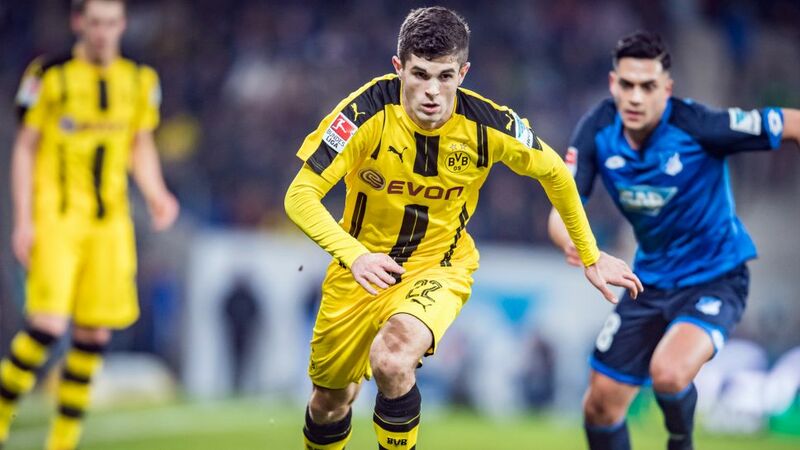 After impressing in the BVB youth ranks, Pulisic was fast-tracked to the senior side in early 2016 and has not looked back since, establishing himself as a regular among fierce competition, in the process also becoming a fully-fledged USA international. Watch: Pulisic netted a dramatic injury-time leveller as BVB drew FC Ingolstadt 04 3-3 back on Matchday 8. Pulisic scored his first goals for the club last term and has continued to impress in 2016/17. He has two goals and a further four assists in the Bundesliga this season, but perhaps even more impressive than those numbers is his consistency. The Pennsylvania native has been entrusted by Tuchel to start 12 of 16 games in the league and five of six in the UEFA Champions League, even with the likes of Andre Schürrle, Mario Götze, Emre Mor, Ousmane Dembele and the returning Marco Reus for competition. Click here to 'like' the Bundesliga's all-new official Facebook page! "It's outstanding because [he doesn't get] injured, he makes almost every training session, and that's a huge advantage,” says Tuchel. “He started in many important games. And he deserved it." That Pulisic has managed to hold down a place in the side is testament not just to his precocious talent but also his attitude, according to Tuchel. “There were some doubts, he had some doubts [that he would play regularly] before the season, with all the guys coming in, [but] if you focus on yourself, stay calm and confident and work hard, there's no doubt that you can always start. He's very self-confident, Christian. You can see it in training, and the way he plays. He's not nervous, he's very ambitious. It's nice to have him." The youngest ever player to start a FIFA World Cup qualifier for the USA, Pulisic has carried his fine Hinrunde form into the winter break, scoring in recent friendly victories against AFC Ajax and R. Standard de Liege. There seems little doubt that he will play a major part in Dortmund’s season, both domestically and in Europe.